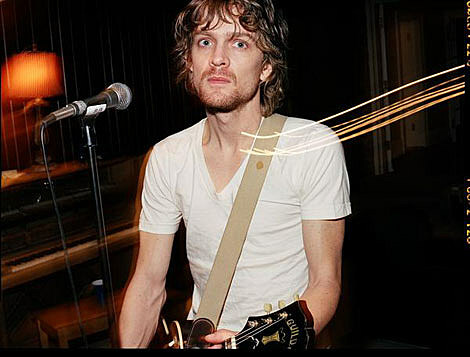 Brendan Benson returns with his fourth solo album, My Old, Familiar Friend, slated for release on ATO Records for August 18 2009. Taking a break from writing, recording and touring with the Grammy winning Raconteurs, Benson went into the studio in Nashville and London with producer, Gil Norton (Pixies, Maximo Park, Foo Fighters) and mixer Dave Sardy (The Rolling Stones, LCD Soundsystem, Oasis). The result is an… 11-track album. That note on Brendan’s MySpace also says to watch for summer tour dates to come. Two are already known. He’s playing in Chicago on August 20th, and he’ll be at New York’s Bowery Ballroom on Monday, August 17th. Tickets for that Bowery show are on sale now. Jack White is also taking a very public break from the Raconteurs lately (not to mention the White Stripes). He is on tour this summer with the Dead Weather. That group will play a handful of European shows before an extended July/August North American tour. The trip includes two shows at NYC’s Terminal 5 on July 16th and 17th. In October, the band will be at Ausin City Limits. The Screaming Females, who opened for Dinosaur Jr. last night (June 25th) at MHOW, will open the July leg of the Dead Weather tour, including their NYC shows.